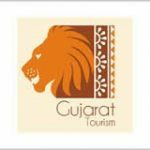 Manager (Project) Vacancies – Last Date 31 January 2019 (Gandhinagar, Gujarat), Tourism Corporation of Gujarat Limited (TCGL) recruits Manager (Project) posts. B.E. (Civil) Experienced candidates can apply. Experience 10 Years in same field. Candidates submit their application to The Managing Director, TCGL, Block No:16/17,4th Floor, Udhyog bhavan, Sector-11, Gandhinagar-382010 within Dt.23/01/2019 to Dt.31/01/2019. Application received after time limit will not be consider. Formed in 1978, the Tourism Corporation of Gujarat Ltd (TCGL) provides comprehensive travel assistance and services to the tourists coming to visit Gujarat. Some of the services of TCGL include accommodation, conducted tours and ground transport with a wide range of choice to meet diverse needs. The Corporation has a network of 18 accommodation units and 5 Cafeterias under the brand name Toran. please inform me on my mail id, if tourison vacancies are published.